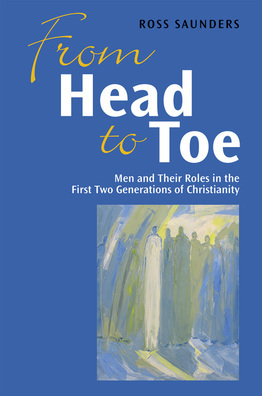 From Head to Toe invites us to into the world of men in the first two generations of Christianity as they come to terms with what it means to follow Jesus. We share in their struggles and triumphs as they make the journey ‘from head to toe’ – from status-seeking to serving. ​Ross Saunders shows us how to read the New Testament with new eyes and hearts, exploring our own understanding of authority, leadership and service within the household of God.